Need to lay 5 km of cabling through an environmentally sensitive area in 5 days? Sounds like a job for Sunfish, Moonfish and Isaac Newton. The Race Bank windfarm, located about 27 km (16.8 mi.) off the Norfolk coast in England, will be home to 91 wind turbines come 2018. The project will supply enough electricity to power 400,000 homes with an estimated annual saving of over 830,000 tonnes of CO2. 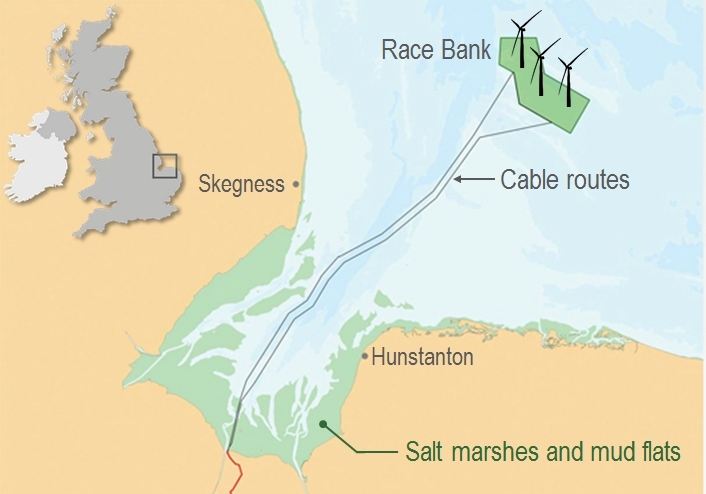 The cabling from the new windfarm will reach the English coast at a national nature reserve known as The Wash. 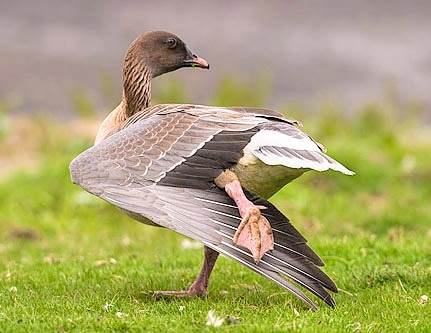 The extensive mud flats and salt marshes of this area are a rich source of food for large numbers of migratory birds making this area an important staging post. Any developments on The Wash have to comply with strict environmental regulations. For Jan De Nul who were charged with cabling the windfarm, the challenge was how to lay underground cables through the salt marshes and mud flats with minimal disturbance to the environment. The solution was to develop their own unique system: two large low-impact cable laying machines called Sunfish and Moonfish. The design of this system was to net Jan De Nul a DPC Innovation Award. Sunfish laid the cable on the salt marsh section, gently turning over the ground like a plough to lay the cable then replacing the soil in its original position. Sunfish is able to operate in water up to 5 m (16.4 ft.) deep and lay cable 1.5 m (4.92 ft.) below ground. When the cable reached the mud flats and a deeper burial depth was required to avoid snagging by anchors, Moonfish took over. Moonfish can work fully submerged laying cables to a depth of 6 m (19.68 ft.) and unlike Sunfish, it is operated remotely. On the mudflats and under water, the position of the cable route cannot be easily marked out, but in this case the solution was simple: centimetre-level RTK positioning using the AsteRx-U. A dual-antenna system was installed at the top of the two 18 m-high masts on either side of Moonfish which provided both the position and heading of the vehicle. … and what about Isaac Newton? 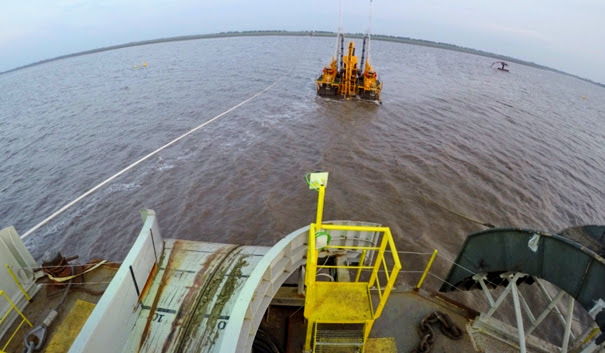 When the water got too deep for Moonfish, the cable-laying vessel Isaac Newton took over to lay the final section of the cable. Again, the same high-precision GPS system was used to lay the cable in exactly the right position. 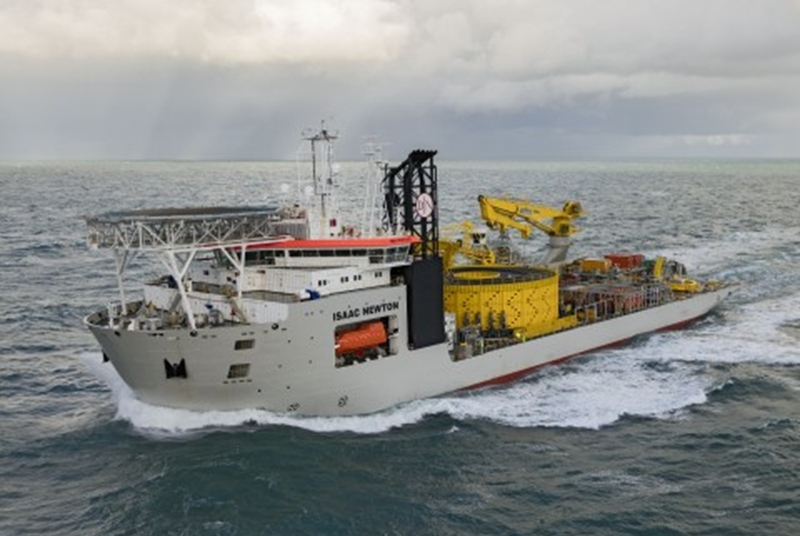 This vessel can transport and lay cable in a single length with a total weight of about 10,500 tonnes – the largest weight of any comparable vessel. Thanks to award-winning innovation and the help of Septentrio’s GPS technology, Jan De Nul was able to lay the salt flat and mud flat sections of the cabling to the Race Bank wind farm. The task was completed on time in June 2016 despite some unexpected bad summer weather. And what’s more, the birds didn’t seem to mind at all.